Looking for a mortgage loan? We will be glad to assist you! Call us at (303) 650-9400. Want to get started? Apply Now. When you're offered a "rate lock" from your lender, it means that you are guaranteed to get a particular interest rate over a certain number of days for the application process. This means your interest rate can't rise during the application process. Although there are several lengths of rate lock periods (from 15 to 60 days), the longer spans are usually more expensive. A lender may agree to hold an interest rate and points for a longer span of time, such as 60 days, but in exchange, the rate (and sometimes points) will be more than that of a rate lock of fewer days. In addition to choosing a shorter lock period, there are more ways you may be able to attain the lowest rate. 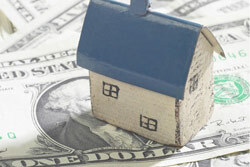 The bigger down payment you can pay, the better your rate will be, since you will have more equity from the start. You can pay points to improve your rate over the loan term, meaning you pay more up front. We'll be happy to work through the numbers for you to see if this makes financial sense..
A Home's Best Mortgage, Inc. can answer questions about rate lock periods and many others. Call us: (303) 650-9400.